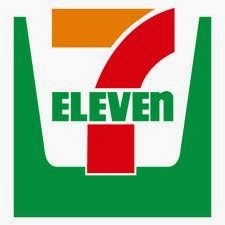 7-Eleven, America’s beloved convenience store, has been working hard to expand in Manhattan since 2011. Though the chain struggled a bit in the beginning, it has since opened 37 stores in NY, with its five newest venues opening in the past six months. In lieu of its rapid expansion, 7-Eleven launched an innovation group aimed at testing new digital offerings for customers. The project, which began two years ago, has tested products ranging from Amazon Lockers to automated key-making kiosks. The chain is also making some changes, including its new fresh salad options as well as craft beer sales. It will be changing its appearance a bit as well, softening harsh lighting and colors with new awnings and other aesthetic features. In the past, the convenience store chain has dealt with complaints from local blogs and activists. The store hopes its new improvements will help ease some of the neighborhood’s concerns while continuing to attract business from both Midtown residents and visitors.